Do You Need Texture Application & Removal in Chattanooga? If you hate the popcorn ceiling in your home, then let Williams Painting Company smooth it out with our Chattanooga texture application & removal services. You’ll love the finished look we can provide for your home. Contact us to make an appointment as we’ll be able to apply or take away the texture from your walls & ceilings. A popcorn ceiling goes by the name acoustic ceiling as well. A popcorn ceilings were once popular in the 1980s, but since then have become marginalized. These ceiling types are regaining popularity especially in apartments and cottages. Call us today for a Chattanooga texture application & removal service. You’ll be able to have a better home for your walls & ceiling. A flat-non textured surface may be all that you need to love your home again. 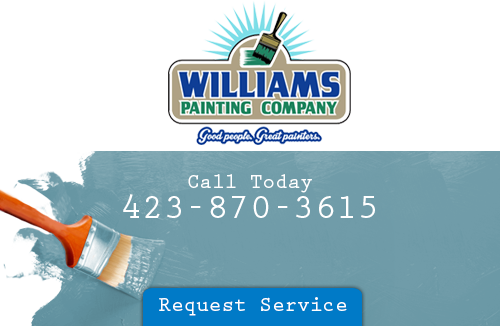 Call Williams Painting Company and you’ll see how great we can make your home again. The problem with popcorn ceilings from the 1980s is they contained dangerous levels of asbestos. Asbestos is known to cause health related problems. That’s why the once popular ceiling type went away for decades. The benefit to having a popcorn ceiling is that it is able to conceal many imperfections that are on your ceiling. A ceiling, in the kitchen, catches a lot of debris from cooking. This tends to stick to your ceiling as it’s very difficult to remove. Why live in the past when we can modernize your walls & ceilings? You don’t have to live with that in your home anymore. Just call us and all your eyesores will be eliminated. The downfall to having walls and ceilings is that they are tough to paint. You’ll need to take advantage of our removal services in order to see just how much your walls mean to your. Of course you can always go the other route and have texture applied to your walls. A knockdown texture is one that is mottled which gives a more intense look to an otherwise flat finish. An orange peel ceiling is very similar to a popcorn ceiling. This texture can be painted a little more easier than a popcorn, but it’s still a texture that’s going to require some paint and a little patience. You’ll need to give it a few coats in order for it to stick. 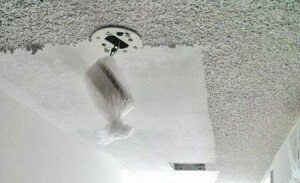 It doesn’t matter if you want your textured walls & ceilings removed or applied. We can do the job for you at Williams Painting Company. We’re the painting pros that have been around for over twenty years. Take advantage of our Chattanooga texture application & removal service and you’ll see the difference. If you are looking for a Chattanooga texture application & removal contractor, please call 423-870-3615 or complete our online request form.